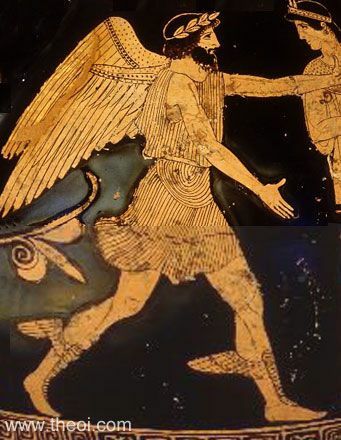 Over the earth as Boreas blows them on. Raises the cold, blowing on, and the earth and trees whimper. And the whole forest roars then in anguish. Straight threw them, even when they are covered in wool. In his fireless home and his harsh pastures. στρωφᾶται, βράδιον δὲ Πανελλήνεσσι φαείνει. Surrounded by the Halloween spirit because I have small children and I like trashy television, I got interested (again) in continuities between ancient monsters and modern storytelling. Inadvertently, this week has become werewolf week. I started with a reference to turning into wolves in Plato. Then, led by the Oxford Classical Dictionary, I delighted in the werewolf tale from Petronius. This led of course to Pliny the Elder. But the werewolf hunt does not end there. I have some Pausanias (that shares some aspects with Pliny and Plato) for later in the week. Along the way, I have found a trove of late antique and Byzantine medical treatises on Lycanthropy. (Those are coming tomorrow). I could not wait to force this upon the world: a Byzantine didactic poem based on those medical treatises! and anything else you embellish? 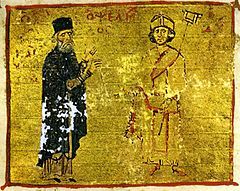 The poem is from a collection of didactic verses attributed to Michael Psellos of Constantinople who lived and worked in the 11th century CE. The text comes from the Teubner edition of his poems edited by L. G. Westernik (1982). “One kind of melancholy is lykanthropy. And it is clearly a type of misanthropy. “Oath runs right alongside crooked judgments. bribe-devouring men lead when they apply laws with crooked judgments. who drive her out and do not practice righteous law. οἵ τέ μιν ἐξελάσωσι καὶ οὐκ ἰθεῖαν ἔνειμαν.